Kylie Jenner baby body just one month after welcoming daughter Stormi. Kylie Jenner gave birth a month ago today. Now she wants us to see her post-baby body. It’s been exactly one month since the moment Kylie Jenner welcomed her first child, a daughter named Stormi Webster, into the world. The world didn’t find out about it until three days later (when Kylie revealed that not only was she pregnant, but that her pregnancy was well and truly over), with the young reality star and beauty entrepreneur telling fans she had wanted to go through her pregnancy away from the eyes of the world. “I knew for myself I needed to prepare for this role of a lifetime in the most positive, stress free and healthy way I knew how,” she wrote to her 104 million Instagram followers. In the first month of Stormi’s life, we’ve seen only glimpses of Kylie’s baby: a photo here, a Snapchat video there, and a beauty line that seemed to have been created in her honour. Today, 20-year-old Kylie shared her most revealing insight into motherhood yet, posting two videos of her “post-baby body”. The videos, which show Kylie posing in her underwear and a crop top while fixing her hair, are captioned with “1 monthhhhhh”. 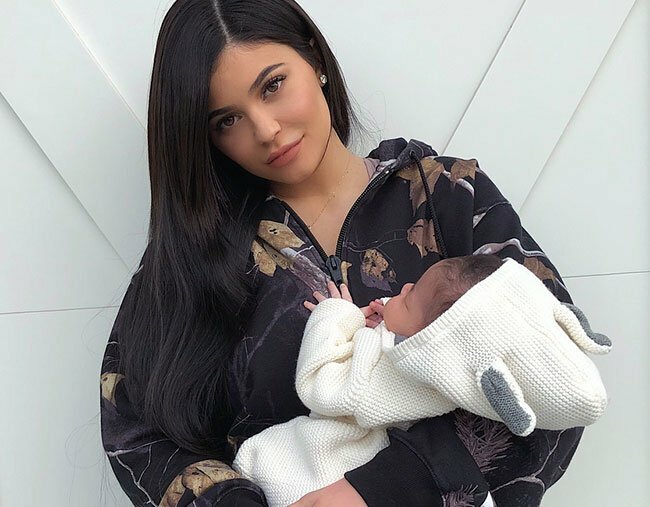 Kylie also shared some of the first clear images of baby Stormi, telling fans her “angel baby” is “one month old today”. In the images, Kylie cradles her daughter, who is wearing a jumpsuit complete with bunny ears. Kylie wasn’t the only one posting in honour of Stormi’s one month birthday: dad Travis Scott posted a close-up image of his daughter wearing a ‘Daddy’ t-shirt on Snapchat. 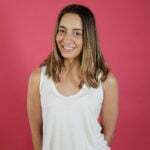 Kylie’s selfies are a far cry from other celebrity, post-baby body images we’ve seen of late: last week, former Grey’s Anatomy star Katherine Heigl said it took her nearly 14 months to ‘get back into shape’ after her son’s birth. “The first pic was taken one month after he was born. The second pic was taken almost a full year later and the last pic was taken this weekend,” she shared alongside a series of images on Instagram.